Our range of high quality commercial vacuums cleaner bags offers a range of different vacuum bags for various models and brands of vacuum cleaner. We sell a huge range of Numatic vacuum bags but also stock vacuum bags from Taski, Karcher, Sebo, Karcher and the Numatic Hepaflo vacuum bags. All of our vacuum bags are for comemrcial vacuum cleaners. Do We Stock The Right Vacuum Cleaner Bag For Your Appliance? Here at Pattersons Cleaning Equipment we pride ourselves on our large range of commercial vacuum bags and stock many of the most popular models. To see our range of commercial vacuums visit the Industrial vacuum cleaner section of our cleaning supplies website. For help and guidance selecting the right vacuum bag contact us on hello@pattersons.co.uk or call 0117 934 1270 for impartial advice which will help you choose the right piece of cleaning equipment for your business needs. 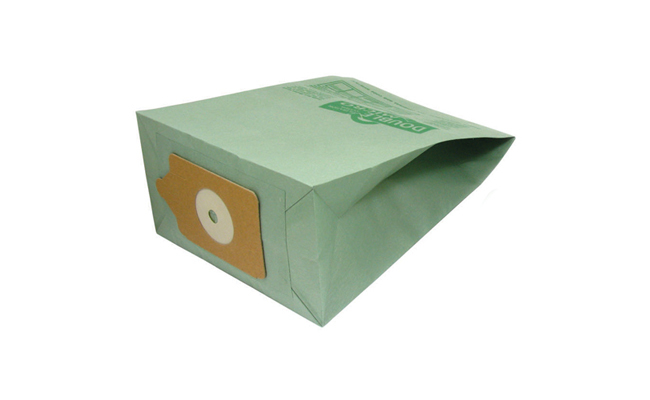 Nilfisk Vacuum Cleaner Bags For GD111 & GD2000 Series (5). Taski SM1 Upright Vacuum Bags (10). Taski Vento 8 Vacuum Cleaner Bags. Sebo Upright Vacuum Bags (10). Sebo Felix/Dart 3 Layer Vacuum Bags (10). Sebo D Ultra Cloth Vacuum Bags (8). Numatic Hepaflo Dust Bags (Pack of 10). Premiere Tub Vacuum Bags (10). Victor V9 Vacuum Cleaner Bags (10). Nilfisk GD5 Vacuum Cleaner Bags (5).